Below is the official press release announcing the return of Rob Hanes Adventures in July! The official press release is posted here. 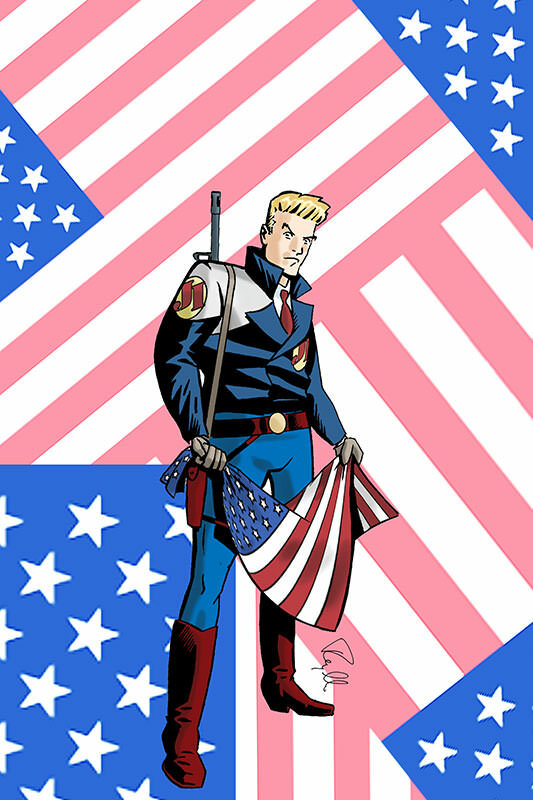 Randy Reynaldo, writer-artist of the long-running independent comic-book series, Rob Hanes Adventures, announced that the next issue of the title (#13) will be released July 2012 through his WCG Comics imprint. 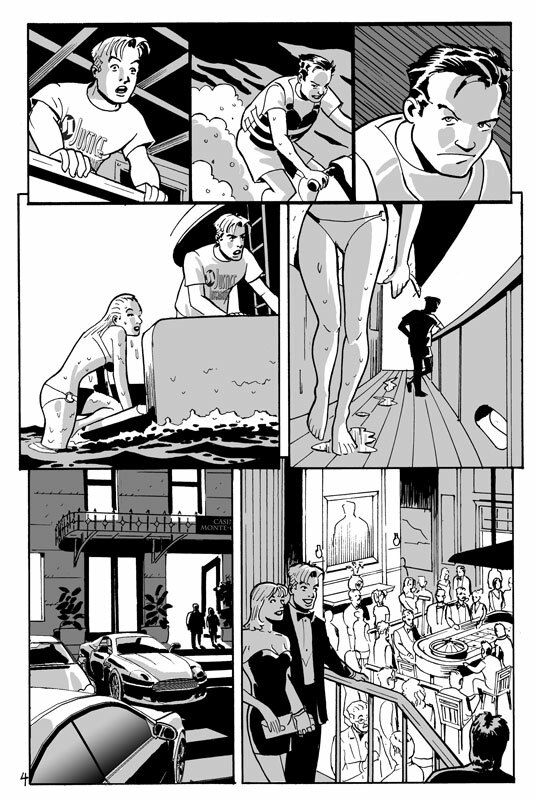 Images of the cover and selected interior pages are available at this link. Inspired by classic globetrotting adventure comics like Terry and the Pirates and Buz Sawyer but set in the modern day—with frequent dashes of light-hearted humor reminiscent of The Spirit—Randy’s work on Rob Hanes Adventures has remained a standard-bearer for breezy, fast paced action-adventure along the lines of Indiana Jones and James Bond, and the work of cartoonists like Alex Toth and Darwyn Cooke. 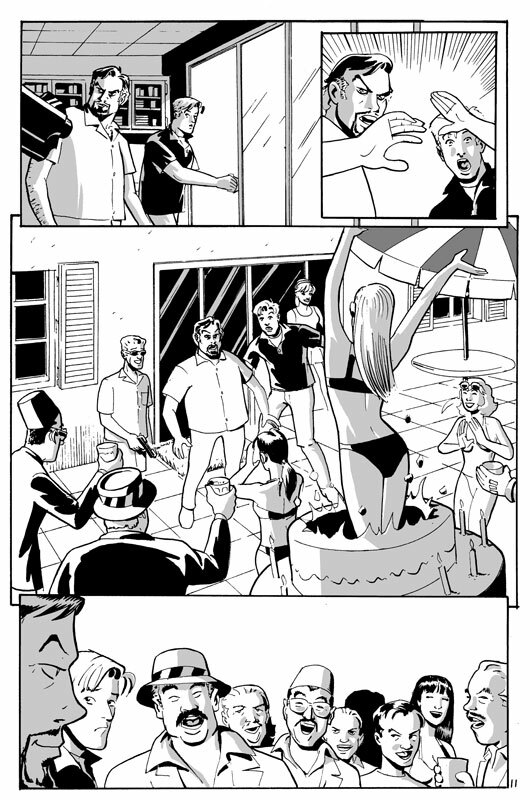 In “Crime Takes a Holiday,” Justice International private investigator Rob Hanes goes on vacation in the French Riviera. However, when he discovers that an international crimelord named Nicolai Korda is also in the area, Rob interrupts his plans for some long-overdue R & R to investigate what his longtime nemesis is up to! 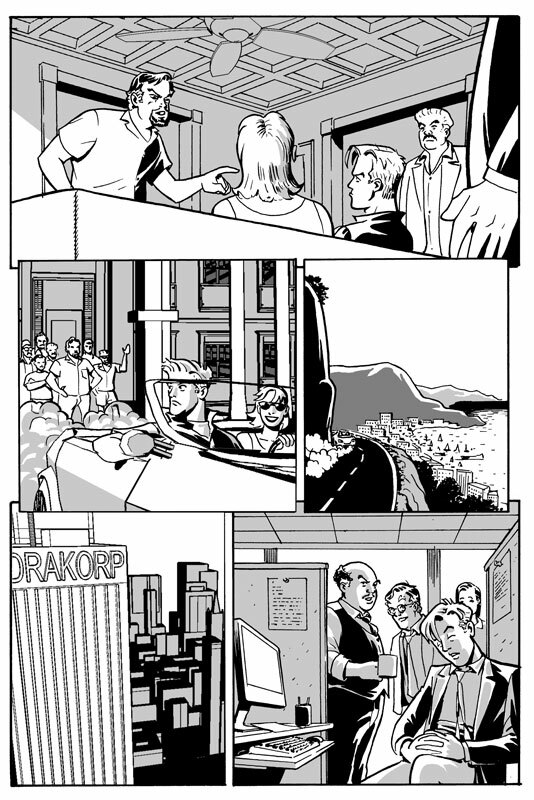 Then, in “Not Your Father’s Private Eye,” Rob gains notoriety when he is the subject of a print and online news magazine article about modern-day private investigators while on assignment in a Middle East country on the verge of regime change. Set in the fictional Middle East kingdom of Koman that has been frequently used in the series, the story echoes the real-life upheavals that have occurred in the Middle East over the past year. 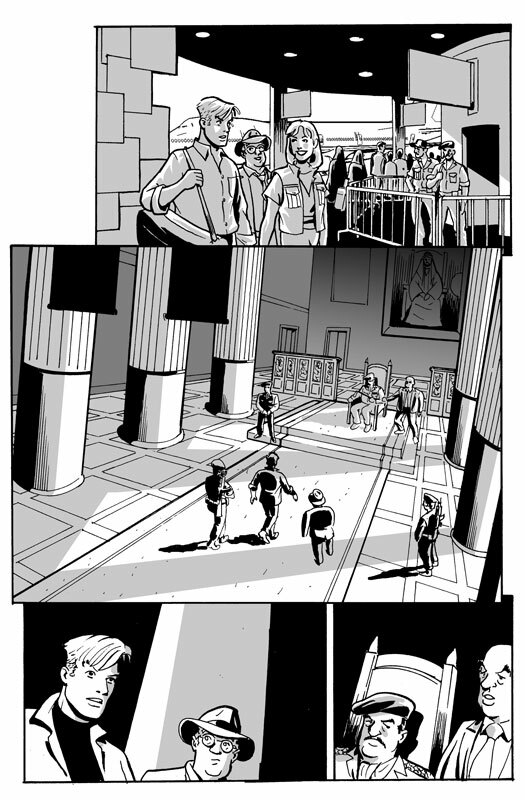 As in all stories in the series, both adventures are complete and self-contained in the issue. While a cover price has not yet been announced, the issue is anticipated to be 28 black-and-white pages with a full-color cover. 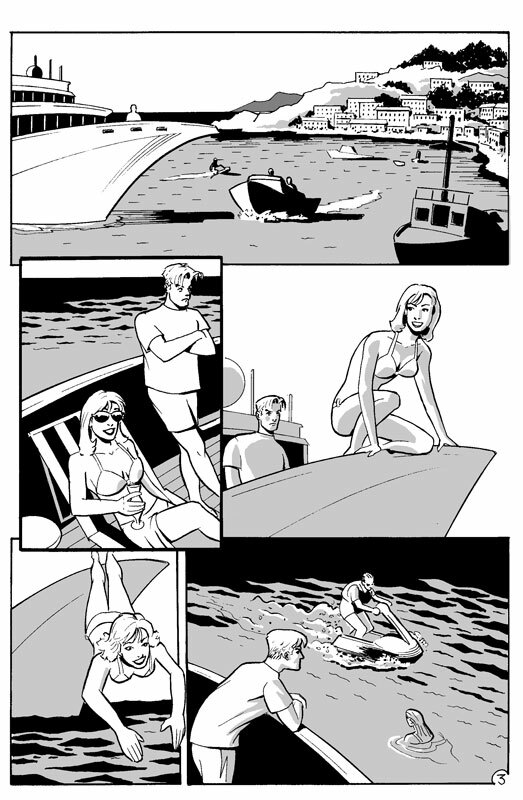 Launched in 1991 as part of the era’s storied wave of small press black-and-white comics, Rob Hanes Adventures has developed a dedicated following for bringing a modern sensibility to the spirit of the classic adventure strip genre, while series creator Randy Reynaldo has developed a reputation for his continued long-running work on the series and his solid black and white art, reminiscent of Milton Caniff and Alex Toth. 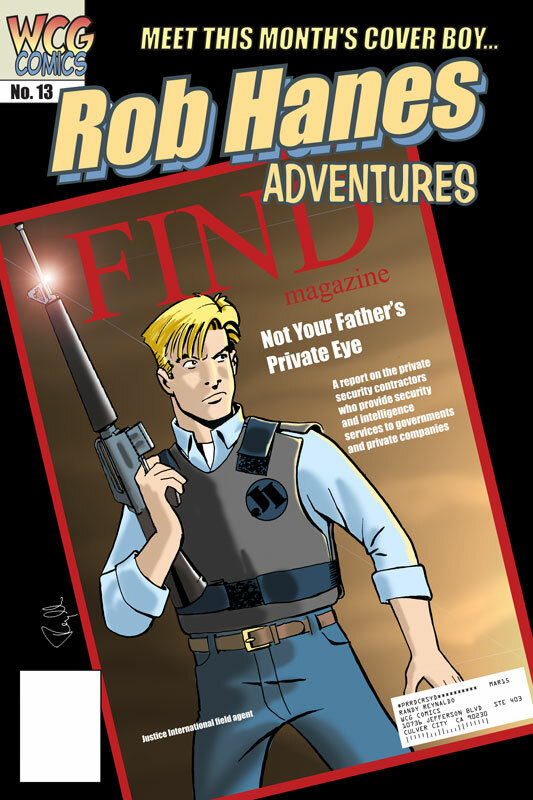 In addition to the 12 issues of Rob Hanes Adventures that have been published to date, two trade paperback collections of earlier work from the series also remain available. 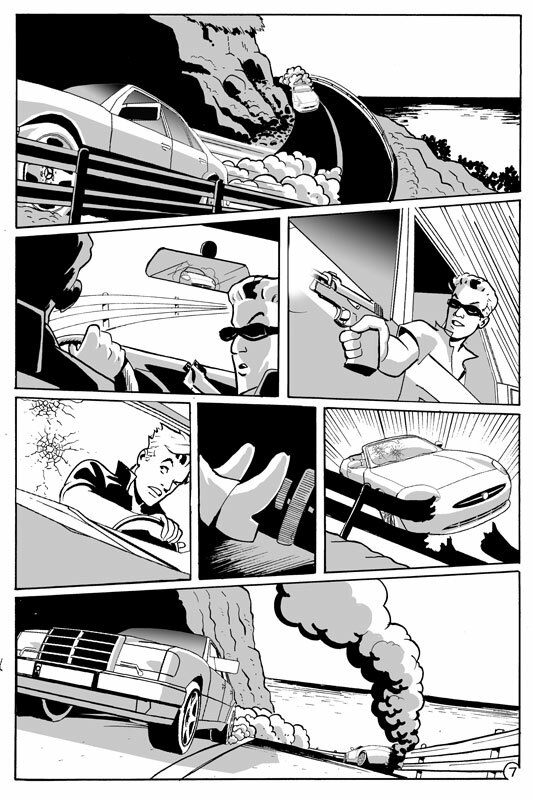 This includes a 144-page trade paperback called the Rob Hanes Archives, funded by a Xeric Grant, which collected the series’ original zine run, and the more recent 140-page Rob Hanes Adventures, Volume 0, that collects four issues from the series’ earlier run under the title, Adventure Strip Digest. 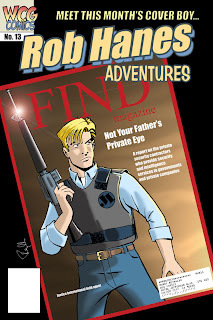 Rob Hanes Adventures has been reviewed, spotlighted and featured in industry print publications like the Comic Buyer's Guide, Comics Retailer, Comic Book Marketplace, Diamond Dialogue, and Previews, and online at comicbookresources.com and Newsarama. Issue 10 was included in Tony Isabella’s 1000 Comic Books You Must Read (Krause Publications, 2009). 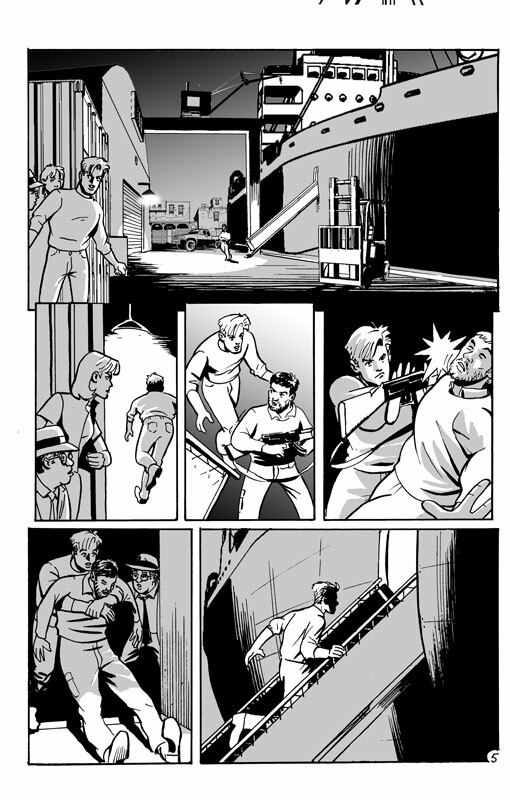 For more information about the series, visit WCG Comics’s website at wcgcomics.com. Below: Large size scans of the cover and selected pages from Rob Hanes Adventures #13.